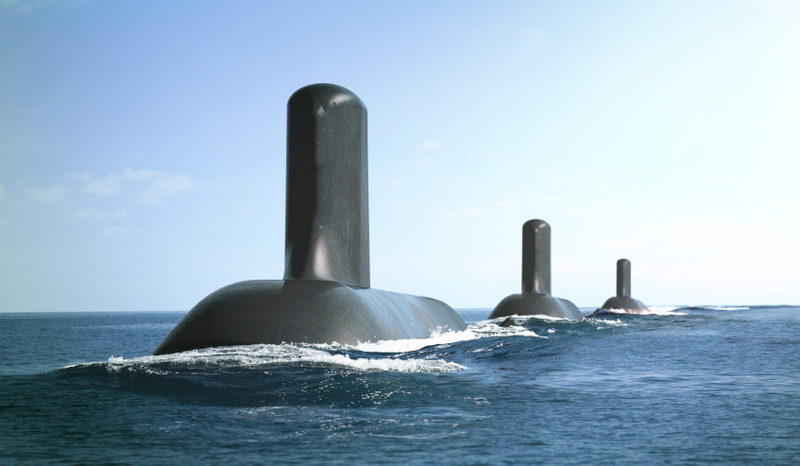 In its first review of the Department of Defence’s (DoD) submarine purchase strategy to replace the Collins Class fleet, the Australian National Audit Office (ANAO) has issued its support for the largest defence project in Australia’s history. The ANAO's report, Future Submarine – Competitive Evaluation Process, found that the DoD effectively designed and implemented the process that saw French company DCNS chosen to construct the 12 submarines. The Turnbull government and Minister for Defence Industry Christopher Pyne welcomed the findings of the ANAO report. "The ANAO’s findings clearly demonstrate that the Competitive Evaluation Process was a fit-for-purpose process and was effectively implemented by Defence," Minister Pyne said. "Sovereignty over the operation and sustainment of the Future Submarine was a key consideration, as was the requirement to maximise Australian industry involvement without compromising capability, cost or schedule. The minister also said the government has made significant inroads since the 26 April 2016 announcement that DCNS had been selected as Australia’s international partner. "The government is well and truly ahead of schedule at this stage with the Future Submarine Project. On September 30 2016, we signed the Design and Mobilisation Contract with DCNS and announced that Lockheed Martin Australia has been selected as the Future Submarine Combat System Integrator," Minister Pyne said. Defence, DCNS and Lockheed Martin Australia have since been working together on the design of the Future Submarine, all 12 of which will be constructed in Australia, using Australian steel, a local supply chain, creating thousands of jobs across the country. The report noted the decision to select one design partner, as opposed to two, was made on the basis that Defence did not have the technical resources to retain two partners. According to the report, Defence advised the Minister for Defence in December 2015 that "the concept and preliminary design is resource-intensive work and will take about three to four years to complete". "This is not work that can be outsourced. It requires submarine design knowledge coupled with a firm understanding of Australia’s operational requirements for the Future Submarine. These skills are in short supply internationally … and Australia should not be confident of assembling more than one government team to work through the concept and preliminary design in a robust manner. Endeavouring to work with two international partners would dilute our capability and undermine the effort required to arrive at a sound understanding of the capability, cost range and risks of the proposed design for the Future Submarine," the report said. As such, the ANAO has said the DoD must ensure there is returned value for money since there is only one partner for the project – DCNS. The ANAO highlighted that this approach is in contrast to the one taken by Defence for the acquisition of its Future Frigate program – SEA 5000. The Future Frigate program also conducted a competitive evaluation process, which selected three design partners to further compete through the design phase of the acquisition. The successful partner will be chosen at the completion of the design phase. Construction work on the Future Submarine Project will commence in Adelaide in 2020.